You may remember that I keep occasionally babbling incoherently about how much I liked that book Illusionarium. If I liked it that much, I should actually review it and tell people about it, right? Or at least explain to my poor blog readers what on earth (or possibly off of it… in an alternate world, perhaps?) I was talking about. 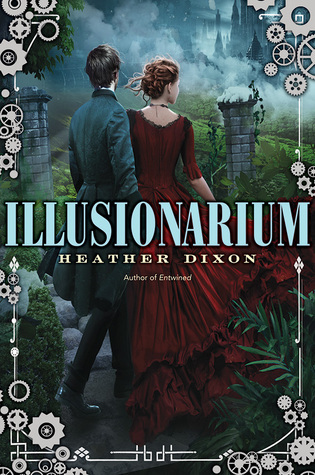 Here is my almost-review incoherent-ish fangirling babble for Illusionarium by Heather Dixon. It’s like The Night Circus meets Inception meets Mirriam Neal‘s book Disconnect meets Doctor Who meets Steampunk meets the kind of lively writing and boisterous characters who sound 1000% British of Entwined, (which is about the only similar thing, although it’s by the same author) and it’s also told in first-person from the POV of a guy, and since the last thing I read like that was that Curseworkers Trilogy (White Cat and co.) by Holly Black, it made me think of that, and also a little of Hiccup from the How to Train Your Dragon movie. A little. Just because. So… yeah, wow. Lots of reminders, and yet it was like nothing I’d ever read or seen! Oh, and there’s also kind of crazy outfits in a lot of it, kind of really colorful raggedy steampunkish clothing, I guess, and there’s a ton of masquerade-type mask things for awhile too, so that’s probably where most of the Doctor Who reminding came from — besides a wee bit of timey-wimey ness and the creepy-factor — but it kind of reminded me of The Girl in the Fireplace episode–was that what it was called? And I haven’t even gotten to my favorite part! character (sometimes it can get worrying with first-person narrators because sometimes it’s just hard to really really like them… unless that’s just me) but he was just so funny and dry but also felt sort of like a “normal” hero, and I just loved watching his struggles as he went up and down trying to find the right thing to do… I loved that and it was great. I don’t think I’ve enjoyed the main character’s “journey” this much in a long while… He also had these really hilarious, dry, witty asides he would put in occasional footnotes. It was so unique and hilarious! BUT. He wasn’t even my favorite! It’s usually characters like Howl and Chrestomanci [both by Diana Wynne Jones] and Florian [Westmark Trilogy by Lloyd Alexander] and Azrael [Mirriam Neal again] that I can’t pigeonhole, but Lockwood… I can’t with him either! :O It’s so weird… I think the closest I could get would be somewhere in with Peter Pan from Peter Pan in Scarlet, mixed with a pirate guy named Tamo in The Pirate’s Son by the author who wrote Peter Pan in Scarlet (Geraldine McCaughrean; she must be good at that kind of character…) but not quite. I don’t know! It’s quite odd! O_O I mean, Lockwood has the same young-awesome-kind-of-savage-but-also-carefree-and-epic-with-a-pistol sort of feeling as McCaughrean‘s version of Peter Pan, and Tamo, but so much MORE too. LOOKWOOD’S JUST UNIQUE AND I LOVE HIM. I just love him too much. I know I’m just fangirling and not making any sense probably, and repeating myself, but I don’t care. I JUST CAN’T EXPLAIN LOCKWOOD OKAY. HE’S TOO AMAZING TO EXPLAIN IN MY OWN WORDS. YOU JUST HAVE TO READ HIM FOR YOURSELF. Basically, Illusionarium had a couple elements that were too creepy for me, but overall it was totally unique and my first steampunk and I really enjoyed it and it has one of my new favorite characters. And it made me happy. It was kind of terrifying and thrillerish and made my heart beat too fast probably but it just… MADE ME HAPPY. I want to beam and huggle it forever. Just… if that’s not what you want books to do for you, I don’t know what is. Illusionarium + Lockwood – creepiness = best. thing. ever. If it weren’t for the creepy aspects, it might be like my favorite book this year (okay so it’s up against some pretty stiff competition… so I dunno. BUT STILL). It was just AWESOME. Pretty much yes to every word of this. 😀 Except that I loved our hero and Lockwood equally. One would not be the same without the other; they balance each other out. (Also Jonathan’s a science geek and the world needs more science geek heroes- something I’m working on fixing myself.) And the FOOTNOTES! I love a book with a good splattering of amusing footnotes. Yeah, the rivening was soooo creepy. O_O MEEP. Haha I love this review/rantish thing! It’s so great! 🙂 I should try this sometime…. 😉 You’ve definitely gotten me intrigued about the book! 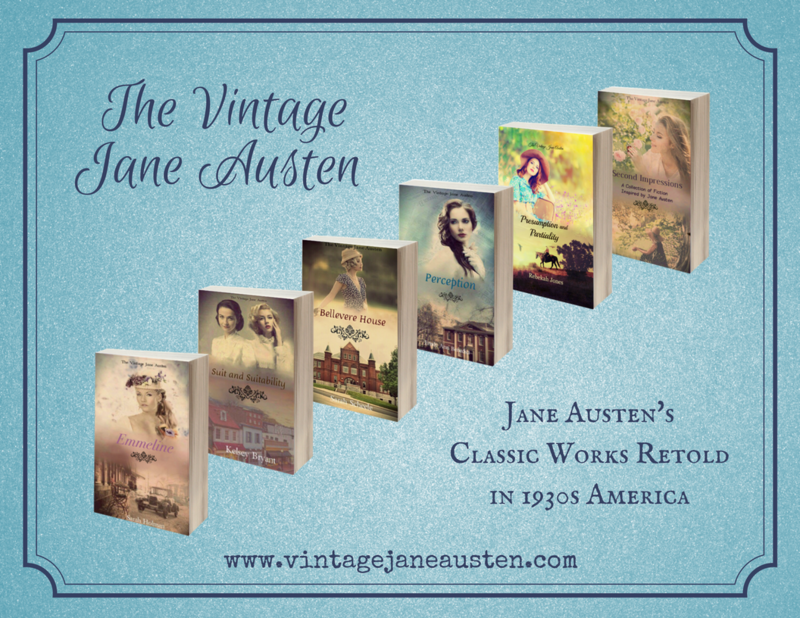 I’m adding it to my TBR right now! 5.. 4… 3… 2… 1… Bingo! 😉 Thanks for the recommendation! Hehe, I might then! Anytime. No, thank you! I’m really excited to read this now. I need to read this, like now. Mostly for Lockwood and mostly because you seemed to have mentioned like fifteen different things I love and having all those combined, would make for an excellent read. Okay, I know I’ve basically read all this before but I just couldn’t help but read it all again because your “fangirl babbles” are like the best thing ever and make me grin so wide. And, really, I get more from posts like this than “professional” reviews. This kind of review really shows how special the book is, and are just so fun to read. But LDKSJFSJD:OIJFDF I need this book!!! Reading this again makes me want to go out and buy it this SECOND. I’m definitely going to put it on my Christmas list but I don’t know if I want to wait that long… I NEED IIIIIITTTT!!!! Heehee, well I’m glad you enjoy it. XD Thank you! And… the only reason this fangirl babble is HERE because of you, so fanks! ^_^ Yes, when a book is really special, sometimes the only thing you CAN do is fangirl incoherently! Honestly, I loved your Goodreads review 🙂 It cracked me up. I love that feeling, but I just don’t get it as much as I used to! So you should definitely treasure any book that makes you feel that way. Lockwood was my favorite part of “Illusionarium.” I loved the concept as well. And you’ll laugh, but I didn’t find it creepy at all . . . maybe a little gross, but nothing much. I am reaaaally hard to bother though. Most scary things are as effective on me as punches are on Fezzik! I tend to befriend “slightly squeamish mushrooms,” so I am the iron-stomached one in the friend group who gets to do the gross stuff by default. Because “nothing bothers you!” gets thrown at me, lol. Sometimes I’ll be reading a book and WANTING that creepy spine-tingling thing to happen, and all I can do is yawn, so it’s not always nice to be impervious to creepy!! And I just love the Princess Bride. So. Funny. Yep, he was. 🙂 But I love younger characters so. 😀 FLYNN RIDER! Ohhh yes, the Constantine thing. O_O That was super unexpected!